Poster advertising August Strindberg's Creditors and Thomas Otway's The Cheats of Scapin at the Lyric Theatre Hammersmith, 1959. 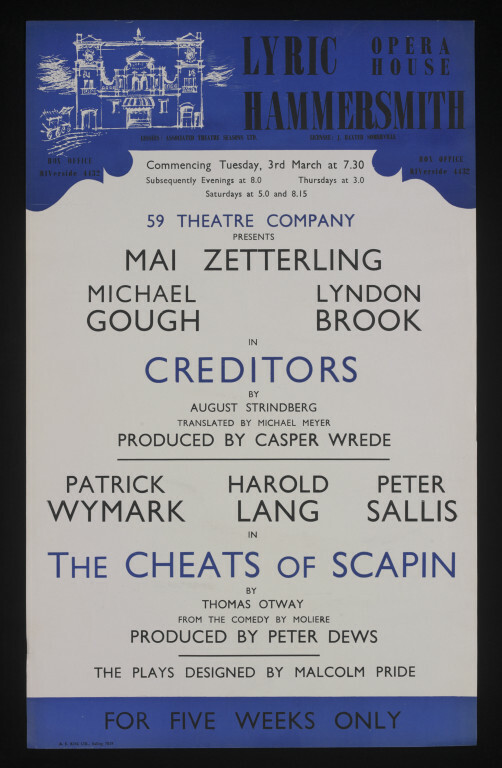 Blue, black and white printed typographic and pictorial poster advertising August Strindberg's Creditors and Thomas Otway's The Cheats of Scapin at the Lyric Theatre Hammersmith, 1959. 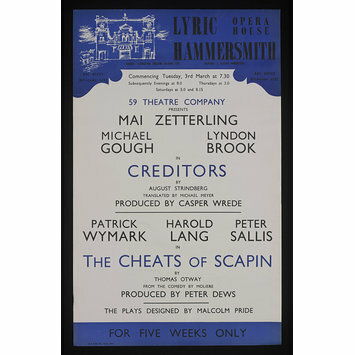 The poster features a line drawing of the venue in the upper left hand corner.